Shampoo and condition your hair with a good conditioner. Brush the hair for a few minutes using either a brush or a wide toothed comb. Select the area to be thickened and lift upwards, holding in position. 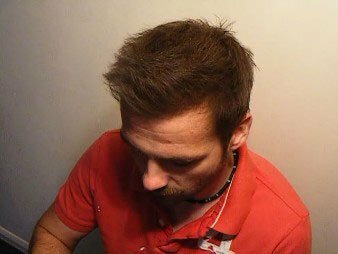 Spray the thickener across the base of the thinning hair as shown in the video (not directly onto the scalp) until sufficient coverage is achieved. Brush your thickened hair well. This will release the shine element, giving your hair a more natural looking sheen. Repeat the process for all areas of the hair that are to be thickened, remembering to brush after spraying to release the shine. As a finishing touch add a light coat of either Mane Seal and Control or Mane Seal and Shine. Understand each step before you proceed to the next. Once applied, all your previously this areas will be thickened. You will be able to have hairstyles denied to you in the past. You can participate in sports. After swimming, allow hair to dry naturally without vigorous rubbing with a towel. Sometimes the can nozzle can become blocked. 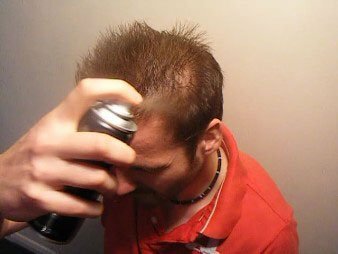 This is normally caused by the fact that the last time the can was in use it was sprayed in short bursts as oppose to long sprays. To prevent your can becoming blocked, after you have finished using it, please fully depress the actuator/nozzle for 2 seconds before storing away. A blocked nozzle cannot be unblocked. Should you experience such a problem, please phone us on 0044 (0) 207 631 3860 or email us via the contact page.